It is green to use solar power to generate electricity. Although it is one-off investment, you can enjoy long-term benefit. You can install the system in any places where there is sunshine. 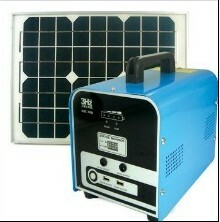 Charging time	Solar panel 2.9 hours can be full charge. Remark	Solar panel with 6M wire, 3820pcs can be fit in a 20-feet container. The system in full sunlight condition can produce electricity 100W per hour and the capacity is 480W. It can be used for villas, travel resorts, grass pastures, deserts, remote mountainous areas, high mountain islands and electricity-absent families to independently generate electricity in a small scale. The home solar power system we produce are including various types, such as 10W, 20W, 30W, 60W, 100W, 120W, 150W, 200W, 250W, 360W, 480W, 1000W, 1200W, 1500, up to 8000W and so on. So you can make a choice according to your needs. Also we can design and produce as your demands. Our products are suitable for all range of consumers. Meanwhile, it can charge mobile phone, MP3 & those 5V electronic devices.